Order WRIGLEY EXTRA SPEARMINT in bulk at wholesale price from Volt Candy Online. Orders Are usually processed within 24 hour of purchasing. unless we have an issue with your order, you will be contacted by the email you submitted your order with. We make sure that our shipments are secured and no one can tell what is inside unless opened. We ship internationally as well, but you just must make sure that the products you are buying is allowed by your country's customs. All orders over $99 will be shipped for free. In case of any returns, shipping costs are not refunded. We ship our orders using the USPS services unless you prefer a different service, please let us know for availability. You can always ask for special instructions by including them in your order's notes. 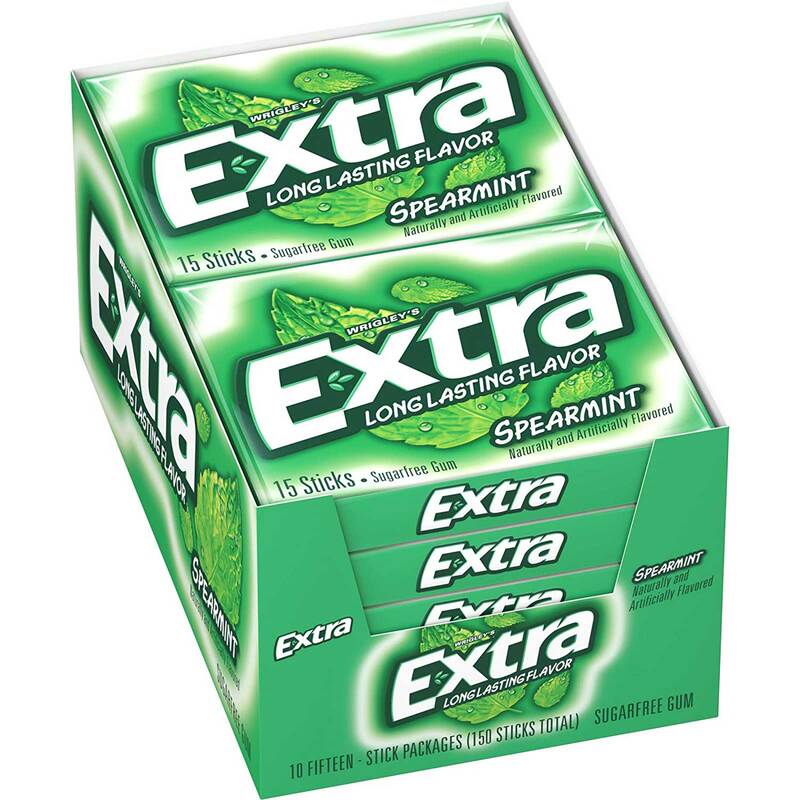 WRIGLEY EXTRA WINTRFRESH 10 CT Long lasting flavors. WINTRFRESH bubble gum. Incredibly fresh breath. Sugar free gum. Tasty chewing gum. Packge: 10 ct. Crisp, invigorating refreshment from head to toe. Give Extra, get extra, because sometimes the little things last the longest. Sharing a piece of Extra gum helps you live life's little moments. Sugar-free chewing gum thats perfect to share with friends, family, or someone new. Package includes 6 individual packs, 35-pieces each. Skittles Tropical Flavor 36 Ct.
SKITTLES 36 CT TROPICAL Individually packaged bags you’ll enjoy Banana, Berry, Passionfruit Pineapple, Kiwi, Lime, Mango Tangerine, and Strawberry Starburst.